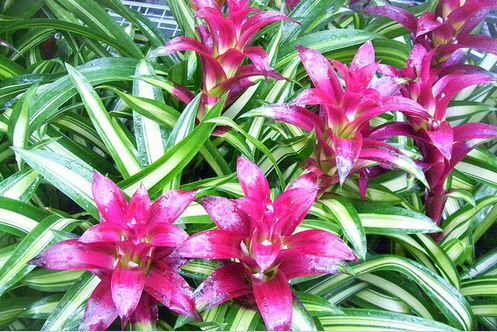 Bromeliads are a beautiful tropical to sub-tropical plant that makes a great addition to many homes and offices. 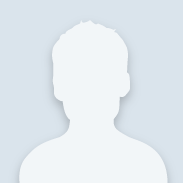 I have had a community member write in and ask about planting the off shoots from the mother plant. First let me say that Bromeliads absorb most of their nutrients through their leaves and the cups at the base of their leaves and their roots act primarily as an anchor for the plant. 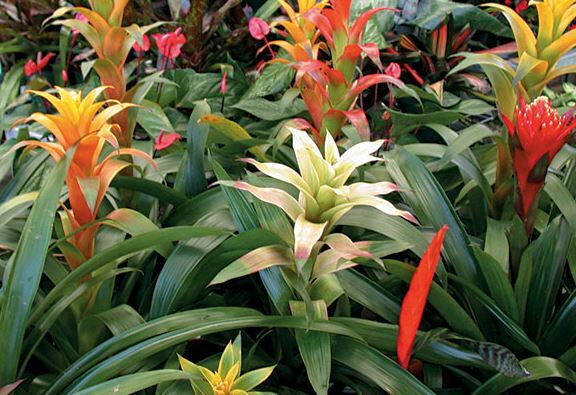 Bromeliads grow in shadier areas, often under cover of other plants and parent plants. They grow outside, in frost free climates like South Florida as well. If you have them in pots outside, be sure to bring them in whenever there is threat of frost or freezing weather. For planting your plant or its off shoots in a pot, it is recommended that you use a planting mix consisting of equal parts peat moss, sand and bark. This will help your plant stay anchored and maintain a good moisture level. Although there are thousands of different types of Bromeliads, most of which like shade, there are many that can take sun. Most of what you find to bring in the house, prefer shade and will need indirect sunlight inside. This means that it needs to be set back away from a south facing window. They also thrive in humid growing conditions; therefore misting them with a water bottle often works well. Bromeliads do not like wet feet, therefore be sure that the cups at the bottom of the leaves are not holding water. Wow! What an interesting plant.